Entries tagged with “Slainte Craft Beer”. 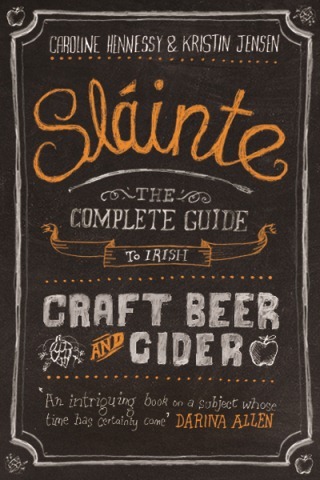 Unless you’ve been living in a Budweiser-induced stupor, you’ve probably heard the buzz around Irish craft beer and more recently about Sláinte, The Complete Guide to Irish Craft Beer and Cider. The book, written by Caroline Hennessy and Kristin Jensen, is being hailed by many in the food and drink industry as the source for those interested in learning about the craft beer/cider scene here in Ireland. I couldn’t agree more; cookery books and food/drink guides are being cranked out by the truckloads these days it seems, and due to the tight deadlines and small budgets the quality of the content suffers. I’ve had a few disappointments with recipes that don’t turn out right or are missing key facts like the size of the baking tin you’re supposed to use for a cake, or where I can source an unusual ingredient a dish requires. Sláinte is different. Everything you need to know about craft beer and cider in Ireland is in this book (well, anything that happened prior to the publishing of this book!). 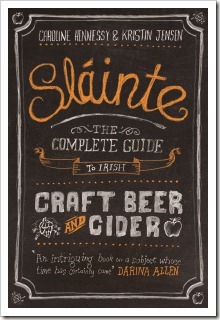 It has it all – the history of the drink, a glossary of the lingo, stories of the brewers, recipes and more. And as Caroline is a journalist and Kristin a book editor, the attention to detail is obvious. I get the feeling they’ve tested every recipe in a manner that would make Julia Child proud. An American in Ireland is powered by	WordPress 4.5.17 and delivered to you in 0.214 seconds using 46 queries.